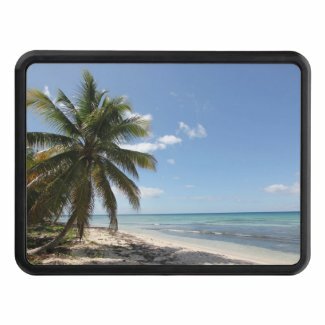 Both Zazzle and Cafepress do sell unique hitch covers for your car or truck. But what are hitch covers anyway? These automotive accessories are not only stylish but very handy. They protect and mask your car’s towing hitch. Let your SUV, RV, truck, or car do the talking with a customized hitch cover! Made in the U.S.A with heavy duty plastic, this cover secures to your receiver with a hitch clip (not included). Choose from small or large to fit your 1.25″ or 2″ receiver. Your designs, images, and text are printed in full color on a metal plate to make a bold statement wherever you go. Dimensions: 5.125″L x 3.875″W. Available in two sizes to fit the 1.25″ (small) or 2″ (large) receiver. 2″ receiver is traditionally for SUV and Pickups; 1.25″ receiver typically fits Minivans and smaller cars. Secures with hitch clip (not included). Printed in full color on metal plate. Why not check out the following covers or go directly to my Zazzle Shop and Cafepress Profile? Have Questions About Your Holiday Order? Huge Black Friday Sale at Zazzle! Save up to 65% Off!